Dean is the managing partner of the law firm, shareholder and member of the board of directors of Gallagher & Kennedy. He practices in all areas of general business and corporate and tax law. He has amassed extensive experience in the representation of professional sports franchises, including radio and television contracts, sponsorship agreements, player contracts and related business issues. Dean also has substantial expertise in the development of sports facilities, having served as lead counsel for the largest sports facilities projects in Arizona. 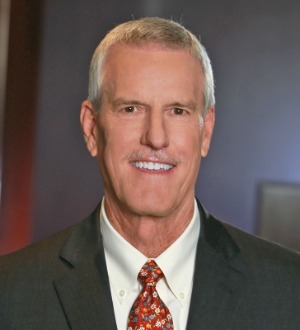 In 2012, Dean was recognized by Best Lawyers of America as the Phoenix Sports Law “Lawyer of the Year.” He has also been honored by Southwest Super Lawyers. Acting as outside general counsel to the Arizona Diamondbacks Major League Baseball team. In such capacity, Dean served as lead counsel in the development, including financing and construction, of Chase Field. Dean also represented the Diamondbacks in the development of Salt River Fields at Talking Stick, the spring training home of the Diamondbacks and the Colorado Rockies. Acting as outside general counsel to the Arizona Cardinals National Football League team. In such capacity, Dean served as lead counsel in the development, including financing and construction, of University of Phoenix Stadium. Acting as local counsel to the Milwaukee Brewers, Chicago White Sox, Seattle Mariners and San Diego Padres in connection with their Cactus League spring training facilities.